Master of the macabre, Tim Burton, is expanding his repertoire of musical movies by reworking the children's classic, Annie. 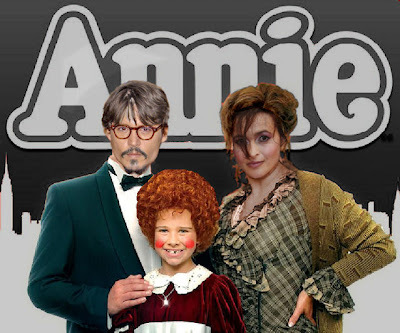 As usual he directs his two darlings, Johnnie Depp and Helena Bonham-Carter, this time in the roles of wealthy industrialist, Daddy Warbucks, and the delightfully evil orphanage manager, Miss Hannigan. Following on from the success of Sweeney Todd, Burton is conjuring a darker version of the original Annie movie with the help of a fearsome performance from Helena Bonham-Carter, his live-out lover (they co-habit but in separate apartments...!?!?!). She plays Miss Hannigan with a tantalizing blend of Alice in Wonderland's Red Queen and Harry Potter's Bellatrix Lestrange. The title role was presented to big screen newcomer, Lanie Mills, a cute 12 year old from Iowa. Although Lanie is a natural redhead, she wore a wig for the movie since her straight hair refused to take the trademark tight curls of the original Annie. Depp charms us with a warm yet distant Daddy Oliver Warbucks, who is quite unlike any persona that the 'Pirates' star has created before. There is a strangeness to the character which leads the audience to ponder Warbucks' past. Burton and Depp have concocted a twist which turns you in circles before unraveling conveniently for the big reveal at the end. This movie is certainly not targeted at the same age group as the original, but more at the grown ups who may have seen the first movie as kids. Much in the same way that Burton's Alice was an extension of the original rather that a facsimile. 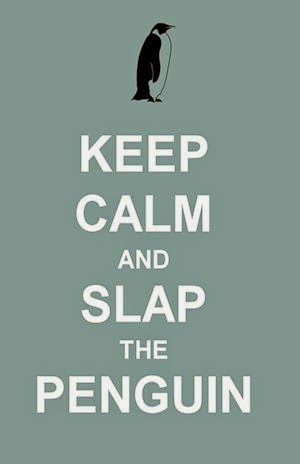 Watch out for this new classic in early 2012.